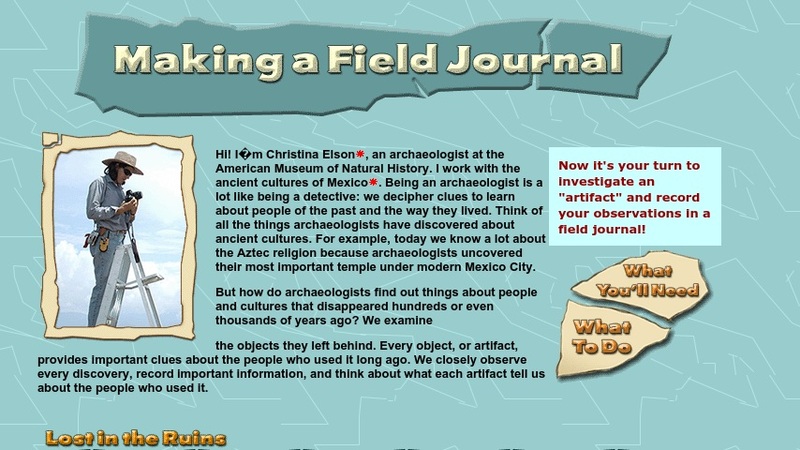 This OLogy activity introduces kids to the investigative nature of archaeology and the breadth of information archaeologists record in their field journals. AMNH archaeologist Christina Elson begins the activity with an overview of her work, saying that it is "a lot like being a detective." Lost in the Ruins briefly explains that not all objects can last for centuries. Kids are then given step-by-step directions for creating a field journal. They begin by closely examining and describing an everyday object. The activity includes two printable PDFs: a two-page blank field journal worksheet and an example of the same worksheet completed by Elson.